They say you have your whole life to write your 1st record, which is why there are so many prolific debuts already in existence. Well, Late Bloomer is another example of just that. 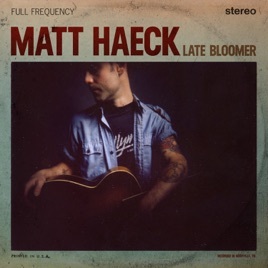 Heart wrenching lyrics & delivery backed up by incredible musical performances have left Matt Haeck setting the bar awfully high for himself. Looking forward to hearing more in the future, but currently enjoying the hell outta this one! I couldnt yes till I said No really hit home but while your Lovin on my mind hit me hard in Nashville. Thanks for writing the feelings I was feeling.